The 2011 edition has become a 200-page thick brochure, with a full page of explanation per accommodation about the accessibility you can expect, in words and pictures. The accommodation guide is also backed up by a telephone and visitor information service run by the Tourism Flanders Information Office, Grasmarkt 4, Brussels. View the brochure as a browsable document, with zoom function. (Dutch version). For a paper version, request a free printed copy at the Accessible Travel Info Point. 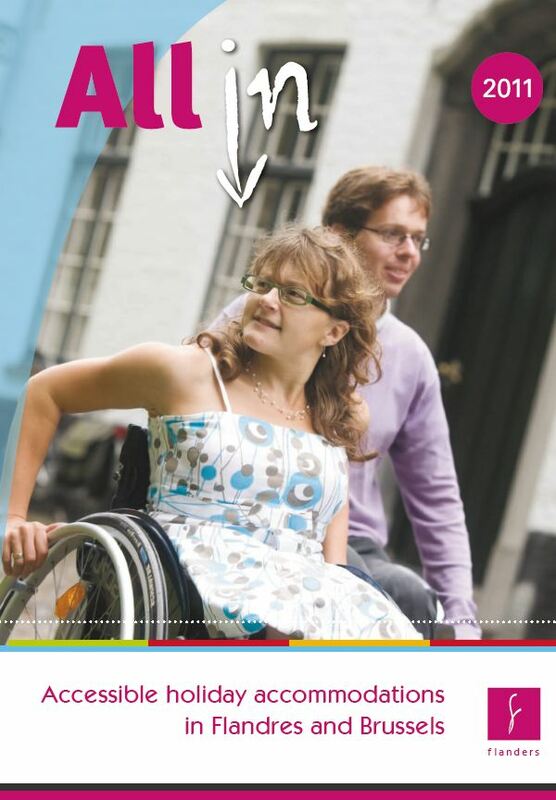 Everything you ever wanted to know about the Tourism Flanders accessibility label can be read in the Label section on the Info Point's website. If you prefer the version in French: here's the browsable e-brochure.